This year our kind teacher Dzogchen Khenpo Choga Rinpoche and twelve of his students from the Dzogchen Shri Singha Sangha are going to Asia on a Buddhist pilgrimage. 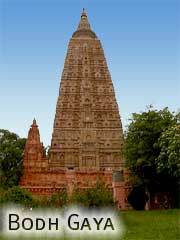 Our sangha will visit various holy places in India, Nepal, and Bhutan. Although we are unable to bring everyone along, you are invited to participate in this pilgrimage by making a generous offering. In this way, all of us can create the similar good karma of making offerings. The purpose of this pilgrimage is to create positive conditions for world peace and to ensure the success of the Dzogchen Lineage 6-Month Internship Program. This is a great opportunity for everyone involved to practice generosity by offering at the holy places of the Buddha, the Dzogchen Lineage Masters, and the Dakinis. In India, we will first journey to the foothills of the Himalayas to visit Dharamsala, Bir and Dehradun to make Sangha offerings at several major headquarter monasteries in the Sakya, Kagyu, Gelug and Nyingma traditions. Dharamsala is also the home of His Holiness the 14th Dalai Lama, Tenzin Gyatso. 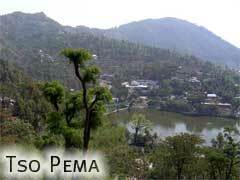 Near Rewalsar we will visit Tso Pema, the famous lake where Padmasambhava created a miraculous display. At Silvatsal we will visit an ancient charnel ground where over 80 enlightened mahasiddhas gathered. From here we will visit our Dzogchen Retreat Center in Dehradun, India. During this and upcoming monastic visits, we look forward to meeting many holy lamas, monks and nuns. Deer Park in Varanasi, the site of the Buddha’s first teaching; Kushinagar, the site of Buddha’s parinirvana, and Vulture’s Peak, where Buddha taught the Prajnaparamita Sutras. 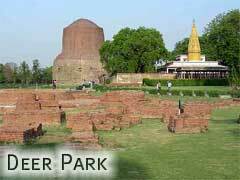 In the same area, we will also visit the site of the ancient great Buddhist University of Nalanda. 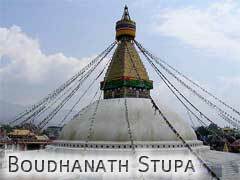 In Nepal we will visit the three holy stupas of Boudhanath, Swayambhunath and Namo Buddha. It is said that visiting these three stupas and making offerings creates an immeasurable amount of merit and all virtuous aspirations will be fulfilled. Then we are off to Pharping and the Holy caves of Padmasambhava’s life including Vajrakilaya Cave and Asura Cave. In the lush area of Godawari, we will visit the Dakini and Vajrayogini holy places as well as our Dzogchen Shri Singha Retreat Institute. In Kathmandu we will visit many Buddhist temples and Shiva’s holy place. 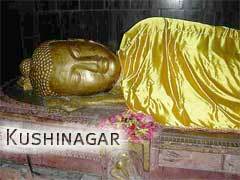 Two additional special sites commemorating the life of the Buddha are also in Nepal. 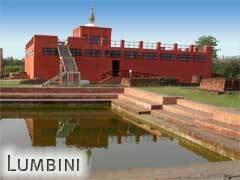 We will make a special trip to visit the Buddha’s birthplace in Lumbini and the Shakya City, Kapilavastu, where he lived until age 29. Dzogchen Khenpo Choga Rinpoche will also travel to Paro, Bhutan and will visit the Tiger’s Nest Monastery, a holy place of wrathful Padmasambhava. During this trip we will pray and make offerings together. 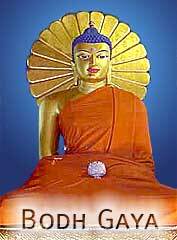 We aspire to create a blog and send emails to our Sangha so that you can pray at the same time that we are at each of the holy stations of the tour. If you are able to participate it would be very auspicious to give $10 or more. Money will be handled by the Dzogchen Pilgrimage Committee which is Susie Croxton (chair), Chris Carelli (treasurer), Sveta Mergalieva, Hazlitt Krog (secretary), Betsi Drayman, Justin Armour, Padma Wongmo Tso and Kunchok Lama (tour manager). 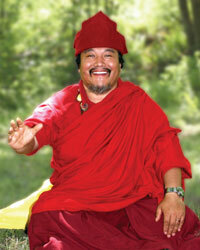 For more information about the Dzogchen Lineage Internship, please visit the Internship page.